Luna Lounge, NYC, 1996: Robert Vickers, Lydia Zamm, Wayne Magruder. Photo: Kat Kruger. 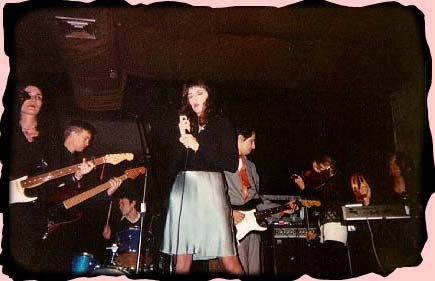 Arlene Grocery, NYC, December 1996, (L-R): Robin Zachary, Robert Vickers, Wayne Magruder, Lydia Zamm, Kid Congo Powers, Liz Corcoran, Jim Sclavunos. Photo: Christian "Bobo" Gibbs.